We have started the weaning journey! 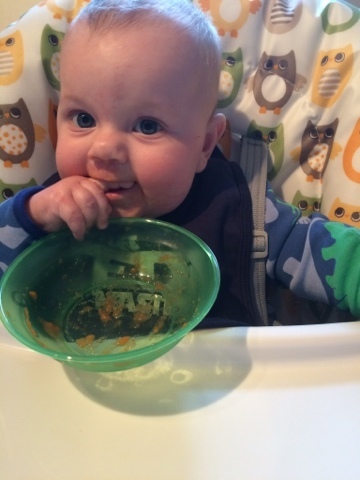 We're now coming to the end of week 2 with Jake on solids and he is loving it! He is happily eating a whole range of porridge, fruit and veg, and we've even tried protein a few times too. 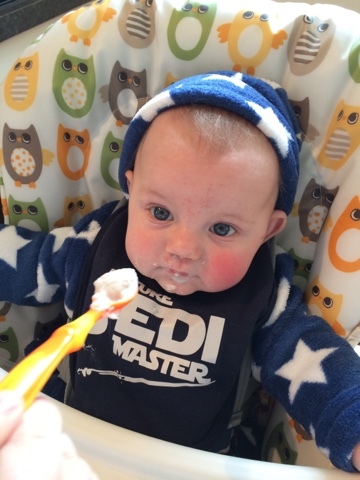 The weaning journey is difficult for us because both Luke and I work full time. Luke works rotation shifts, which means he alternates between a 6am-2pm shift and a 2pm-10pm shift. Usually this alternates each week, but we're about to start our 3rd week with Daddy working 2-10pm. 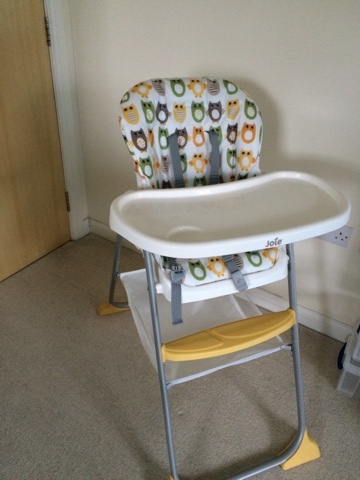 What has really helped is having a great High chair! Omgosh I am so glad we looked into them and didn't just to and buy one that was cheap or looked nice. 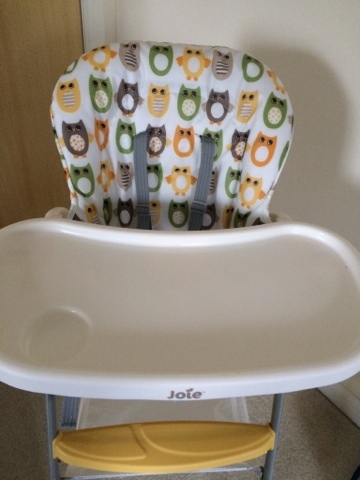 We have been so pleased with the Joie Mimzy Snacker High Chair, with its very cute owl print pattern and one-handled fold mechanism. It fits perfectly into our life with Jake as an eater! - a nice large basket under the seat which folds easily and keeps our bibs tucked in a handy spot! 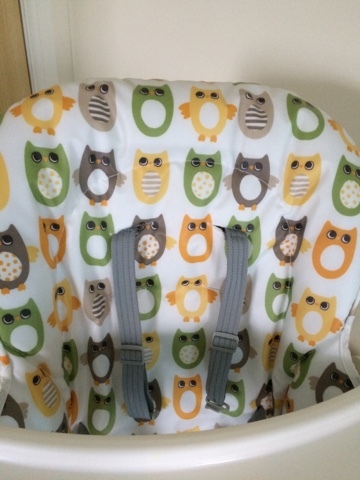 We paid £49 for ours from Mothercare - but you can get in online and in other stores too. So happy and glad we didn't waste a fortune on these Stokke chairs - I didn't like them when we browsed in store, and they are very expensive!